A week of above freezing weather in November is very unusual but definitely welcomed this year. Each day this week farmers with a bit left in the field have had to wait until after lunch time each day to get out there and their work day ends shortly after sundown but that has been enough to get most crops harvested. The exception of course were flax and alfalfa seed crops which simply did not reach maturity. 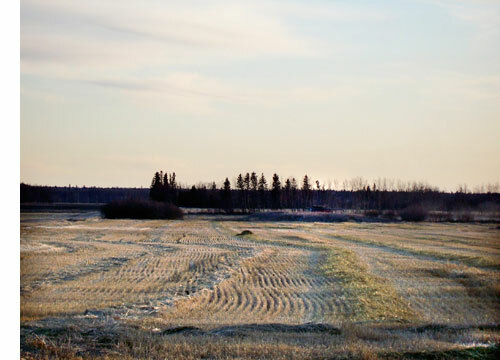 Most of the fields in the Tisdale area were Canola but there were a few cereal crops still in the swath as well. 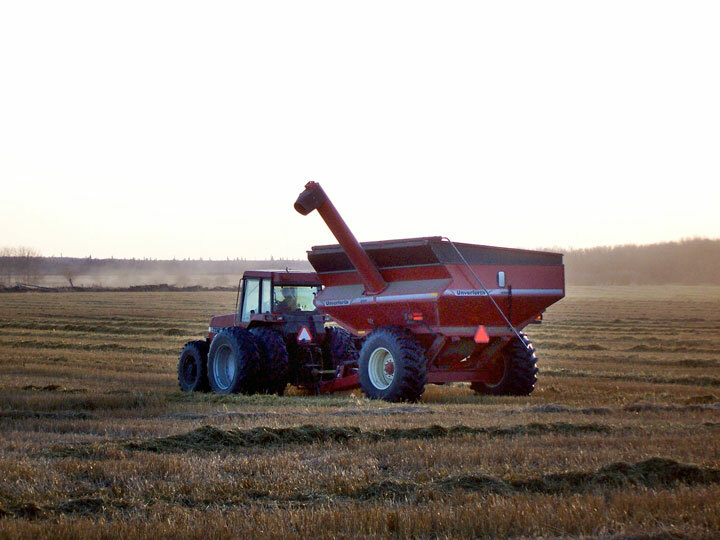 At the top of the page is an oat crop, the last quarter to be done on one farm. 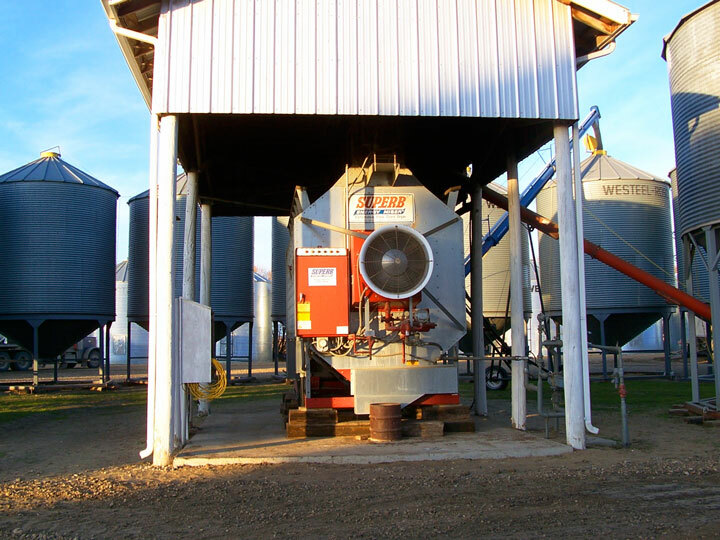 The problem of course has been that it is not only wet in the field but the grain itself is wet and the elevators are not taking any damp grain whatever so this farmer is running the oats through their drying system. Meanwhile two "B" trains were in the yard loading up and delivering grain to terminals an hour's drive away. This oat crop is running 150 bushel to the acre but the swath has been pushed down by the snow and about 20% must be passed over and left in the field. 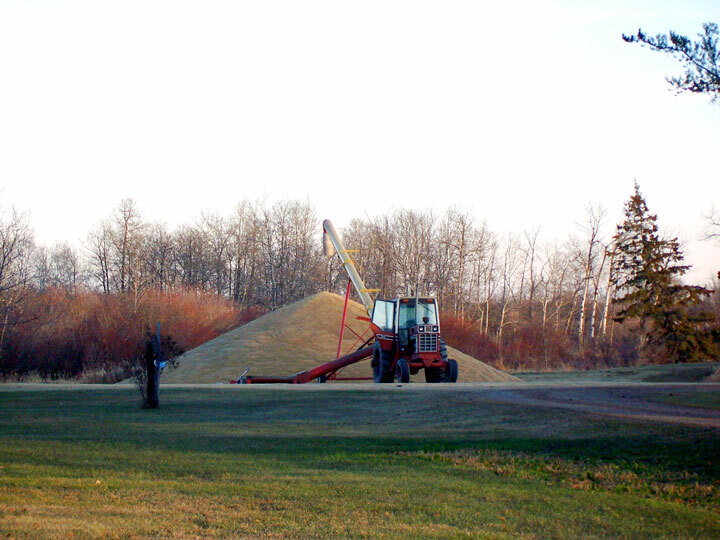 As it is coming off it is being piled (below) then dried. Yields have turned out to be excellent for almost every variety and now its a matter of marketing the stuff. 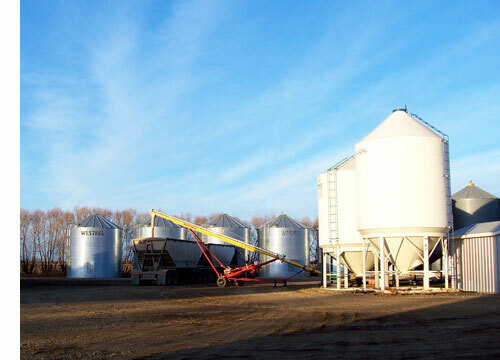 US and Chinese have imposed fake tariffs on Canola depressing the price and farmers are into storage. 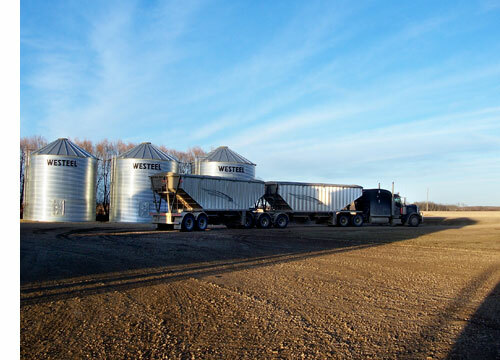 Below is the scene at Louis Dreyfus in Tisdale yesterday as they moved wheat from their storage to their open pile to free up more space. 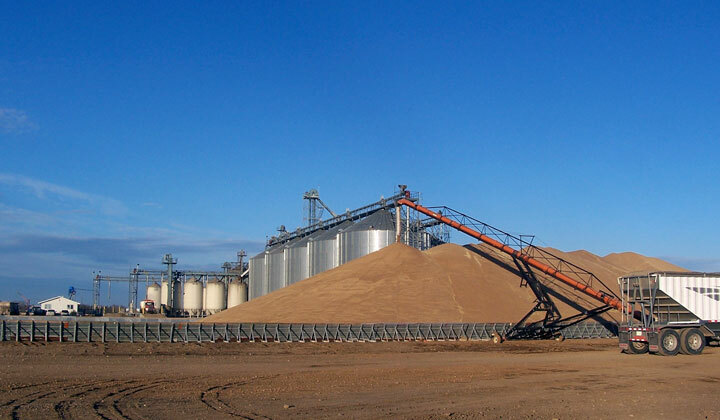 Trains are running daily and most of the terminals have grain cars about to be loaded. Except for the marketing, the harvest of 2009 is expected to be history on Friday, November 20th.